I don't know why I get us all into this again and again, but Amanda's back with her take on inspiration...good luck everyone! When Samantha was recently struggling to decide what sort of bag she’d next like to design, I thought I’d be ever helpful as her proactive and useful Office Manager and gather some ideas to give her inspiration! For some reason I’m not sure she took me completely seriously…here are some of the bags I thought you’d love to see in the pattern market! 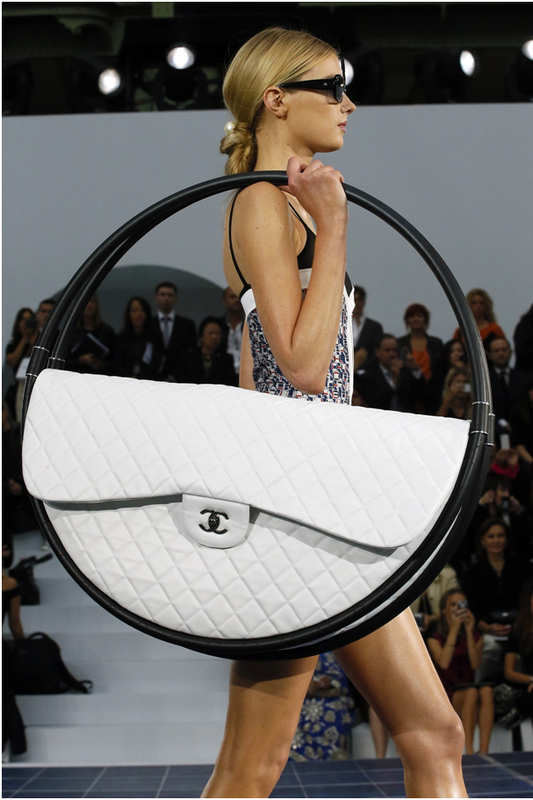 Let’s start with the one which I affectionately like to call the Hula Hoop, but which Chanel like to call…oh…the Hula Hoop. It’s on trend, fashionable and chic! If Chanel think it’s good enough for the runway it must be perfect for the high street! 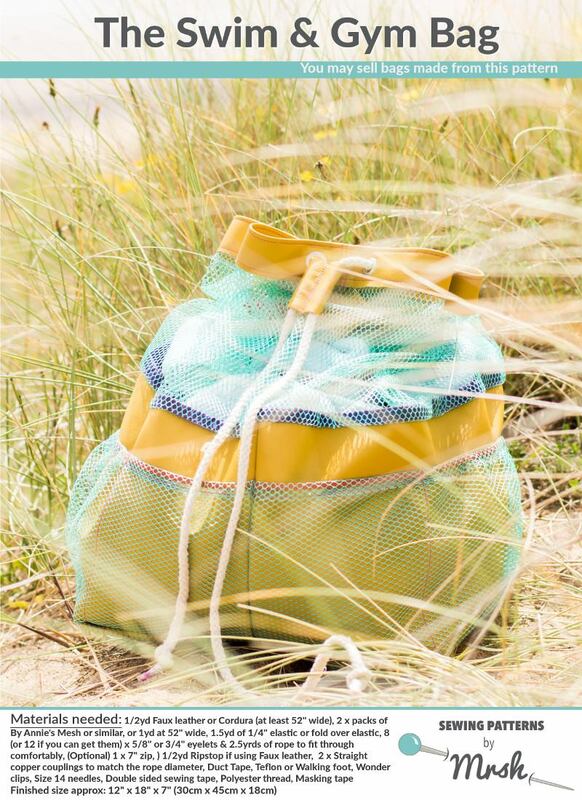 According to The Daily Telegraph this is also a perfect bag for the beach. You can tell because the model is wearing swimwear. You can fit all your beach towels and toys in it and then use the hooped top to drape your wet swimming kit over to dry. 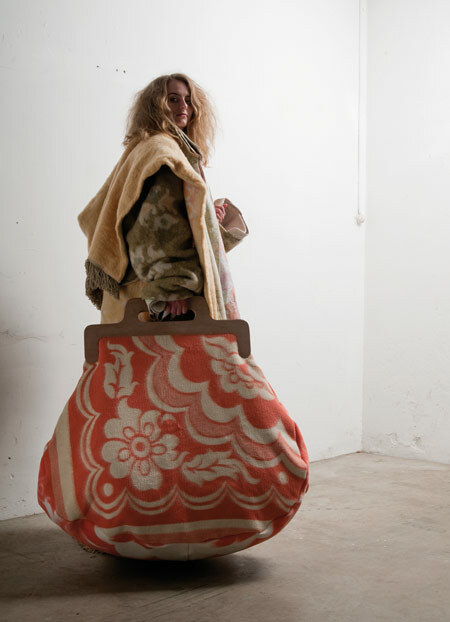 Of course, with a bag this expensive you probably want to go to a beach without sand, or dirt, or water. For that it may be better to opt for the Swim & Gym if you’re a Bag of the Month Club member, or once it’s released next year. Now, I know some of you think Samantha likes to design big bags. I’m not totally sure from where you’ve got that idea, but my next inspirational bag is perfect for a designer with Samantha’s reputation. I like to call it The Beast. This is the sort of bag which is perfect for craft fairs and fabric shops – you can promise your spouse you’ll only take a single bag to fill with purchases and then haul this one right out of the wardrobe! Like packing everything except the kitchen sink? Well with this bag you can! Want to smuggle your cat/dog/baby elephant* wherever you go? If you’ve got the muscles it has the girth! The only possible downside is its enormity – it will be impossible to find your hairbrush/wallet/chocolate at the bottom of this creature. But think of just how much chocolate you could fit into it. Time for another multi-purpose bag; as well as being a junk carrier this bag has a halter ego – it’s a great distraction for kids! 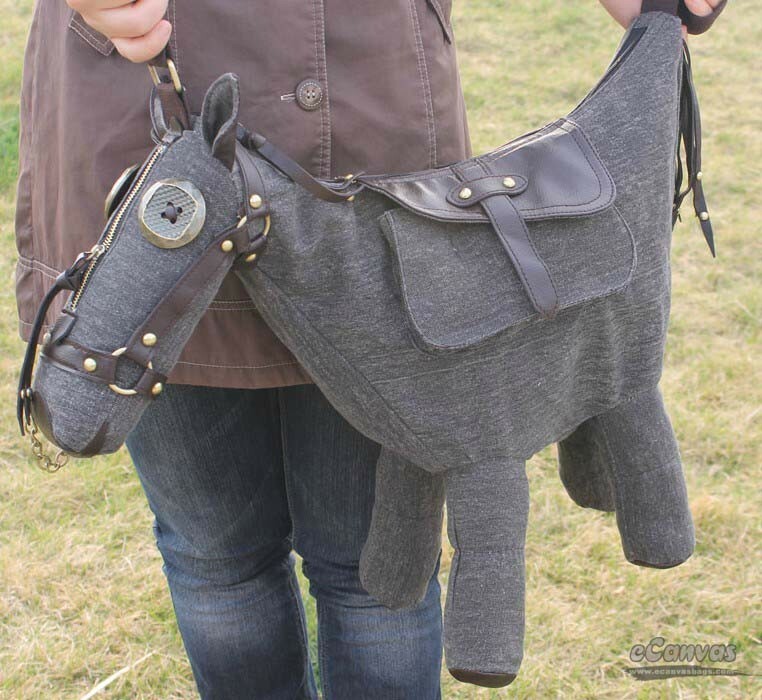 I hope you don’t think this bag is tack-y, because it could be just what you need to harness in your little one! Stuck in a long queue waiting to buy some FQs? Kids getting pasture patience? It doesn’t have to become a night-mare. With a little bit of imagination your bag can be turned into a horsey adventure. Watch the horror on the shop assistants’ faces turn into glee as moods stay stable and there’s no stirrup of emotions*! 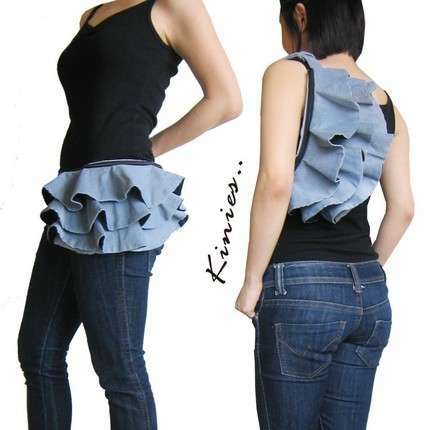 From filly to frilly, although I’ll try to rein in the puns, is this bum bag/***** pack. I don’t really have much to say about this bag but I couldn’t resist including it just so that I could say “from filly to frilly”. It certainly is unique. Wear four at the same time and you’ll have a handmade tutu skirt. I have no idea why Samantha doesn’t include frills more often in her designs! 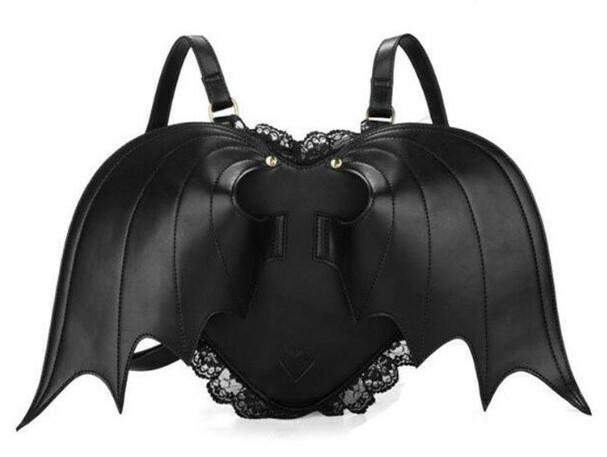 This is the perfect bag for a "dark night" despite it being trimmed with lace. Plus, it’s black, has handles and (I assume) an opening! Perfect for commuting, shopping and travelling, the wings mean you can soar over crowds of people to get where you want as quickly as possible! Plus, fly high enough and your heavy-weight fabrics will feel as light as a feather! And finally, a bag you don’t seed every day…The Tomato! I expect some of you will try to persuade me I’ve got bag blindness again and that it doesn’t actually look like a tomato. Even with Heinz-sight I’m sure I’ll be right. 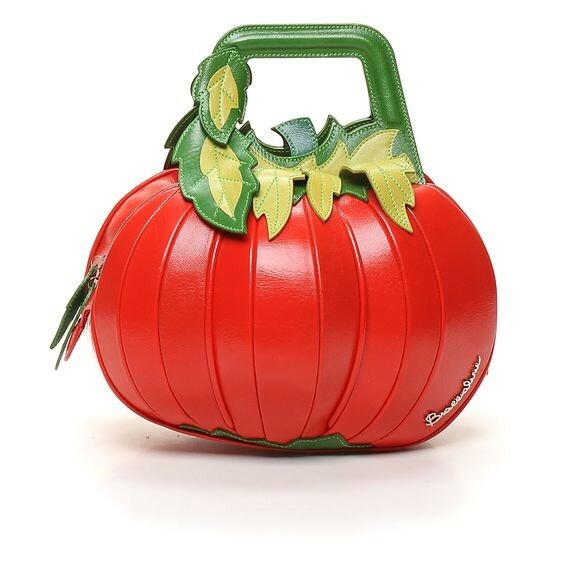 It’s no wonder a bag as chic as this is Italian – no other country can quite ketchup to their progressive fashions! Lettuce just contemplate for a moment the beauty of this saucy bag. And so versatile. Got a business lunch? Take The Tomato, it makes a soup-erb companion. Have a dance class? The Tomato is ideal for a little salsa. Wouldn’t you just love to be able to make your own Tomato, Hula Hoop, Bat Wings or Beast? What sort of bag designs do you wish existed? Given the extinction threat and that they are wild animals, Sewing Patterns by Mrs H does not recommend the handling or ownership of elephants. Sewing Patterns by Mrs H cannot guarantee that horsey bags will stop meltdowns. If you try to fly using a bag designed like “The Bat Bag” you will probably end up in a lot of pain.